David Tracy represents high net worth individuals, as well as family owned entities, in the planning, structure, and implementation, of various strategies involving tax, asset, and succession planning. David also serves as a consultant to a client’s other professionals on complex federal tax matters. Lecturer in Law, Southern Methodist University School of Law (1975-77). Added the Advanced Corporate Taxation course to the curriculum in the Master of Laws Graduate Tax Program. 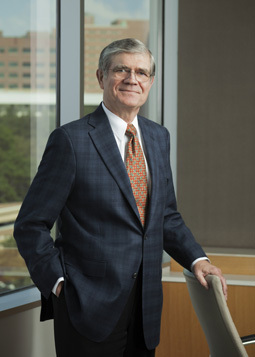 Fort Worth Business & Estate Council — Chair (1984-1985). Tax Counsel (Pro Bono), Historic Fort Worth, Inc.
Board of Directors, Tarrant County Convention Center (1983-1989); Chairman (1986-87). Board of Directors, Fort Worth Convention and Visitors Bureau (1986-1989); Member, Executive Committee (1986-1989). Board of Directors, Mental Health Association of Tarrant County (1975-78). Board of Directors, Shakespeare in the Park, Inc. (1979-81).